Physical examples of double ring (or Double Wedding Ring) patterns in textiles can be found in museum collections dating as early as 1825. 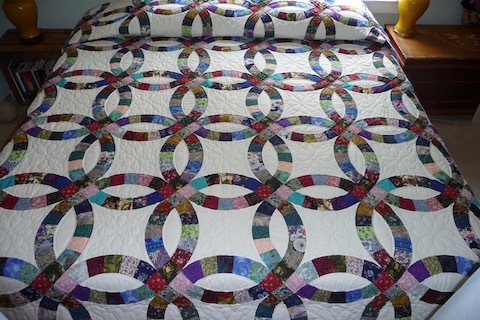 However, double interlocking circles, much like those seen in Double Wedding Ring quilt patterns, can be found on Roman cups dating back as to the 4th century A.D. This unique and difficult to execute pattern also carries names as varied as Rainbow, Endless Chain, King Tut and Friendship Knot. 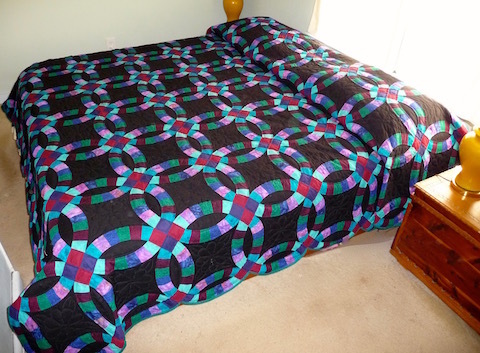 This pattern is comprised of arc shaped pieces of fabric that are either cut from one piece of fabric or many small pieces sewn together to create an arc. 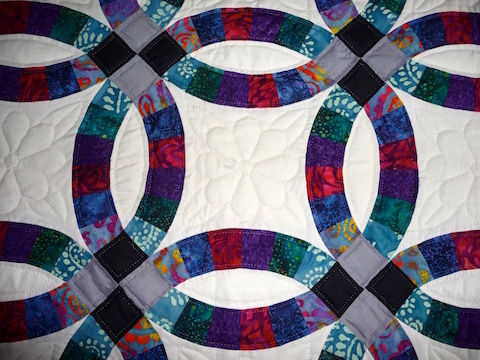 Quilters with a good eye for color typically place contrasting colors at the point where the arcs meet. 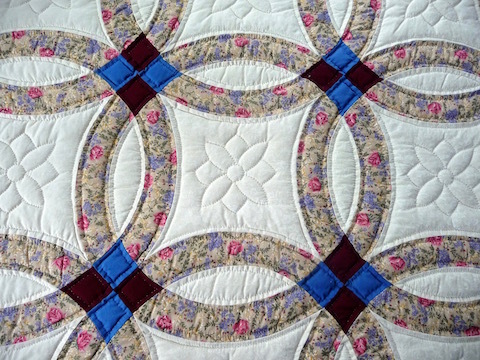 A quilter’s piecing combined with her hand quilted details give the rings depth and movement.